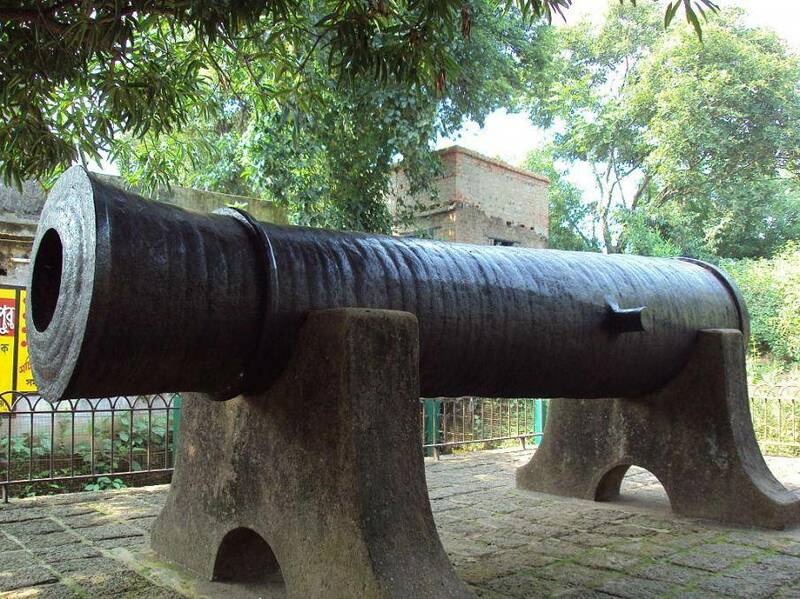 In Bishnupur one of the historical attraction is Dalmadal Gun or Dalmadal Cannon. Dalmadal Cannon is said to be built by Madan Mohan himself to defend against the Marathas in 17th Century during King Gopal Sing's rule. Madan Mohan is considered name of Lord Vishnu and it’s believed that he fired the cannon to protect the city from Maratha dacoits. The word ‘dala’ means enemy and ‘mardan’ means to destroy. It was built during reign of Malla’s but had been buried and was recovered by Britishers in 1919. According to another story Jagannath Karmakar is said to have built the cannon and had put sixty three rings. The cannon is 3.84 m in length and it represents the glory of Malla Kings of Bishnupur.